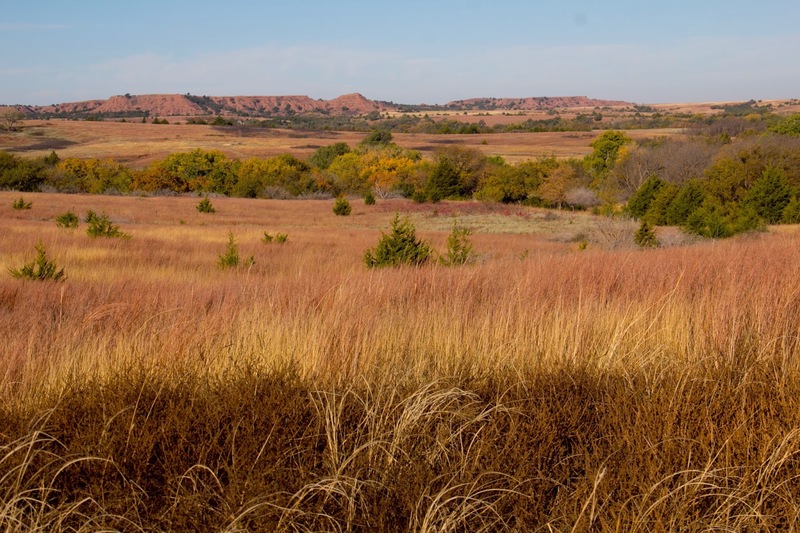 A panoramic of the beauty seen on top of Belvidere Hill overlooking this small hamlet and the Medicine River valley in Kiowa County. The Red Hills are awash in beautiful colors this fall, especially the red hues. How fitting too! With a raucous appreciation for rains of summer, the grasses and wildflowers responded in glorious growth and display. The tans of side-oats and reddish-orange blades of bluestems contrast on the prairie canvas like a great artist painting a mosaic masterpiece. Prairie and some Gyp Hills in the Red Hills region--from Red Rock Road looking west. 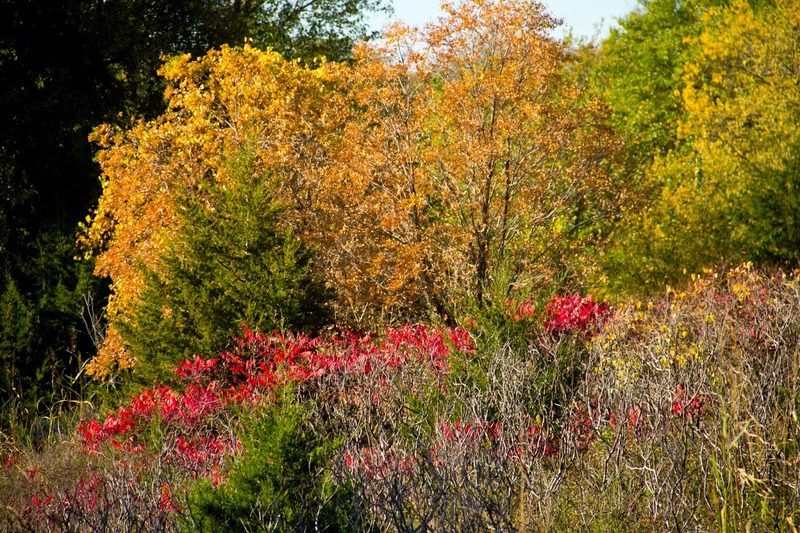 The crimson of smooth sumac sets off the green of cedars and the splash of yellow cottonwood leaves. 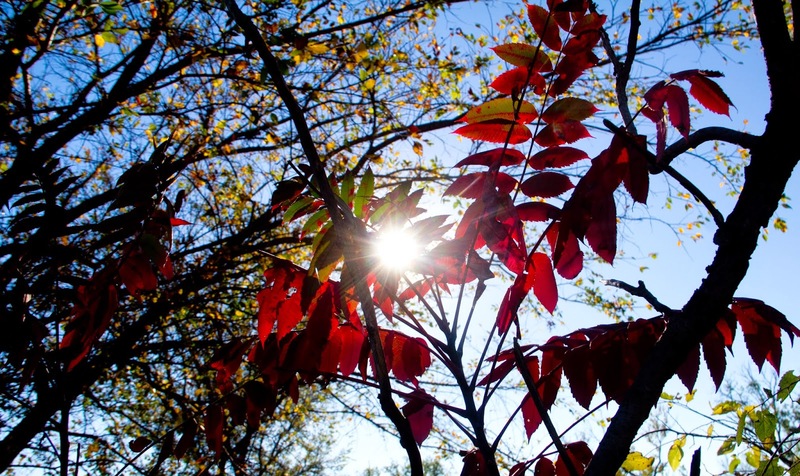 Crimson leaves of sumac accent a beautiful morning sky in the Red Hills. 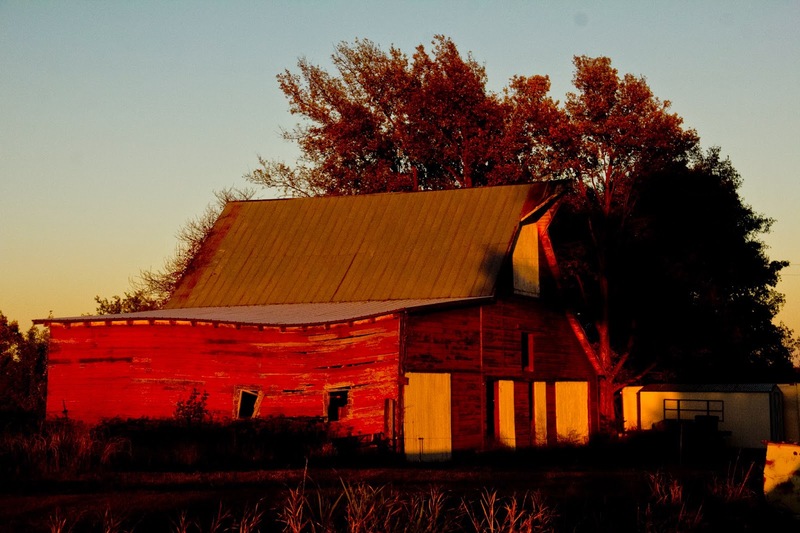 The old red barn adds even more red to a very rosey landscape. Brought to you totally by evening sunset. Even the milo fields shout red with an evening sun. These are actual colors--not a bit of monkeying with any hues or saturation. Deluxe eye candy!